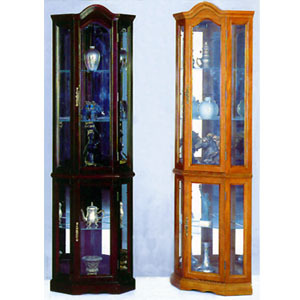 Corner Curio Cabinet Available In Oak Or Cherry Finish. Features Light Inside and Mirror Back. Strong Construction. Easy To Assemble. Size: 21 x 16 x 70 H.
Most Products Leave Our Warehouse Within One to Two Business Days.